Matt and Ali Scott-Malcolm come across as a relaxed, cheerful and enthusiastic couple. In fact, such is their demeanour, you'd have little reason to suspect they've just opened one of WA's most highly anticipated beer venues. Yet the long-time Yallingup locals have done exactly that, and they've poured everything they've got into Wild Hop Brewery too. "The property wasn't bought for a brewery," Ali says of the land that's been in the family for three generations. "We lived here and we even got married here. "We're pretty passionate about beer and getting people together to have a good time." Enjoying good times isn't the couple's sole focus, however, with sustainability a key part of their business model. It might be a buzz word for some operations, but Matt and Ali are committed to making sure Wild Hop is a sustainable venture for themselves and their family. Heading to their on-site hop farm. 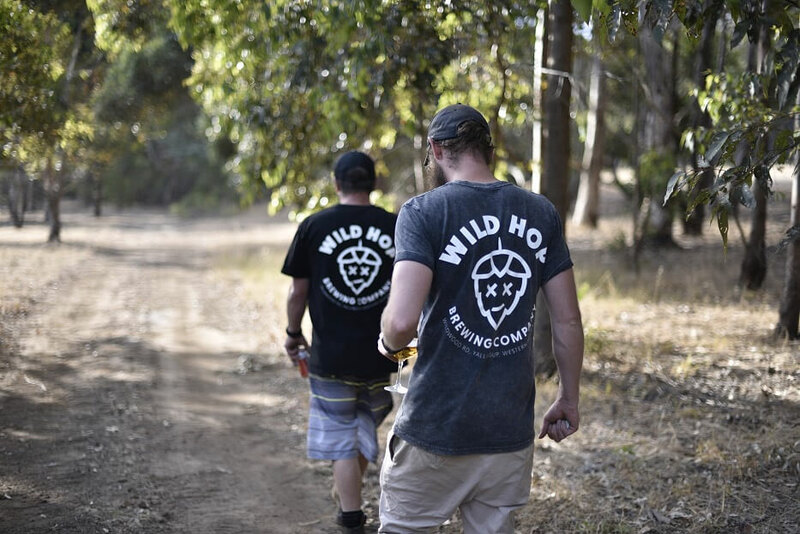 Utilising dam water on the property, an expansive kitchen garden and an established hopyard – planted on a defunct orchard dating back to the 1970s – are just a few examples of the efforts they've put in place to help Wild Hop on their journey of self-sustainability. And, while it's still early days, the chefs and brewers are already reaping the rewards. When it comes to the beer, Wild Hop are keeping their focus simple: fresh, seasonal and, above all else, striving for the highest quality. Although Matt has spent plenty of time behind the brew kit with New Zealand brewing legends Garage Project, he's also enlisted the help of Tennessee local Andrew Caldwell (pictured on the right of the photo at the top) to bring some American craft beer flair to Wild Hop's beers. "I spent a few years brewing around the States [at WISEACRE and Smartmouth Brewing Co] before meeting Chalky [Matt] at the Siebel Institute of Brewing in Chicago," Andrew says. 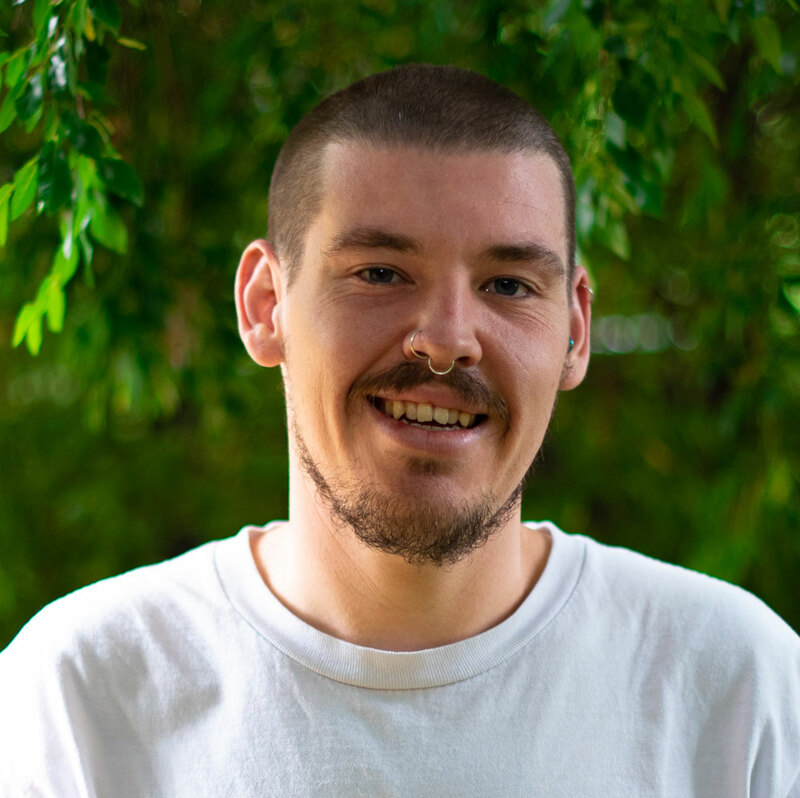 "He convinced me to move to the South West of WA and then I spent nine months working alongside Hamish at Rocky Ridge Brewery before Wild Hop got underway." 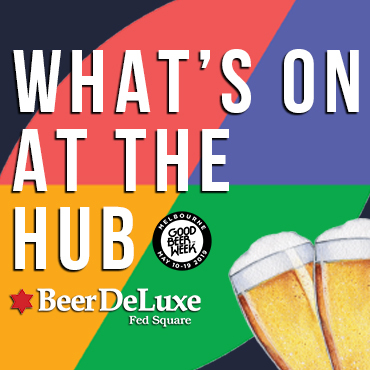 Although the name and logo suggest there will be plenty of hops in the mix, Matt and Andrew are eager to assure punters there will be plenty of yeast- and malt-focused beers on offer at Wild Hop too. A barrel-ageing and sour beer program that was put in place well before the first beers were released is in full swing with a fruited gose, a grisette and a barrel-aged Russian imperial stout all making their way through the Wild Hop brewery. 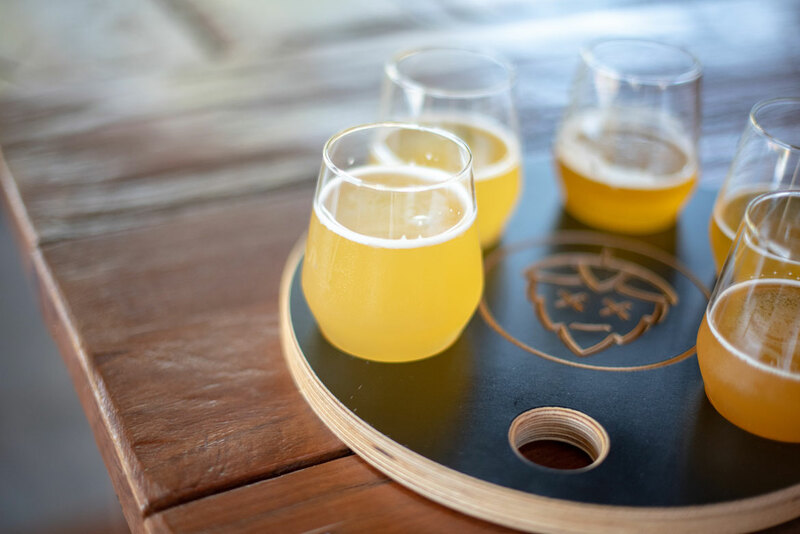 Their brewery venue officially opened to the public on February 22, 2019. As for their homegrown hops, they will also feature throughout the year – and for years to come. "We'll be using our estate grown hops for a couple of wet hop beers each year and the rest we'll age for a few years for our sours," Andrew says. "Our expansive property will play a big part in our souring and ageing program that Matt has had in the works since day one." They've installed a 12 hectolitre Premier Stainless brewing kit to give themselves every chance of brewing the best quality beer possible and kitted out the cellar with more than 90 hectolitres of fermenter capacity and plenty of bright tank space too. Certainly, there's enough to accommodate a rotating range of seasonal and one-off beers, plus a couple that will pour year round. "We'll have a very minimal core range: a traditional take on a Czech pils that's lagered for five weeks will feature and a pale ale that we'll tinker with depending on what hops we can source will also be available, though that will still change with each brew," he says. 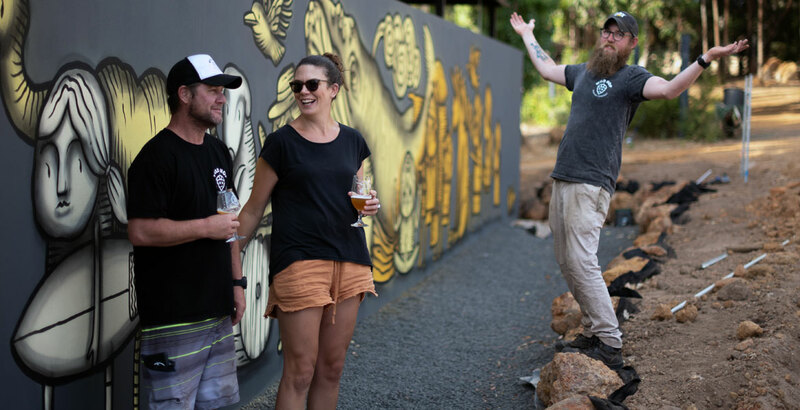 Wild Hop Brewery is now officially open to the public and seats 150 thirsty punters across a shaded beer deck and a sleek, open dining room with views of the brewhouse and the distant hopyards. A brief food menu features wood roasted and smoked meats plus salty bar snacks designed to pair well with the ever-changing seasonal taplist, which will also feature a local cider and a few beers from other noteworthy local brewers in the South West of WA. And, if there's one thing this part of Australia isn't short of these days, it's noteworthy local brewers, with Wild Hop set to swell that number further. 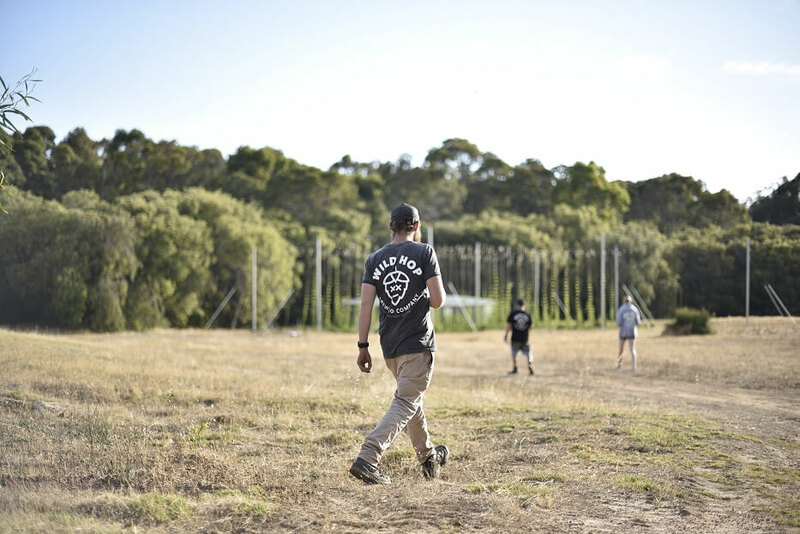 Wild Hop's brewery is located at 1301 Wildwood Road, Yallingup. 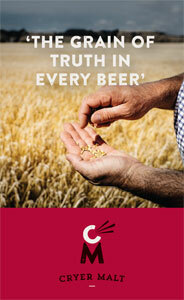 You can find it and hundreds of other breweries and good beer venues across Australia in the free Crafty Pint app. Jono's relationship with beer started with a homebrew kit in 2011, which led to a beer blog and a brewing role at Gage Roads. Lots of other beery roles and activities have followed and he now resides in sleepy Margaret River, enjoying all of the crafty offerings of WA's South West. That would be would be BrewDog Tokyo, gifted to me by a colleague for my 18th birthday. Its existence alone as a 12.5 percent ABV beer blew my mind; previously I had only consumed Emu Bitter (in excess) at house parties. Discovering that beer led to a visit to the International Beer Shop where, obviously, many more mind-blowing beers were purchased and consumed. Rocky Ridge Peach Invasion: For me, it's the perfect craft beer. It's big flavoured but perfectly smashable. Interesting but easy-drinking. Bold but balanced. Naughty but nice. Made entirely out of locally made ingredients in WA, you'd be mad not to give it a crack! Boatroacker Ramjet: Because THIS is what beer can be. It's massive. You might hate it now but you certainly won't forget it. One day you'll understand and you won't be able to get enough. This beer is everything that is right about crazy, "big" beers. Jester King El Cedro: It's American craft beer at its best. A beautiful, bubbly farmhouse ale aged in cedar barrels. We're lucky here in Australia to get our hands on these fantastic American ales and I think Jester King stands for everything we love about beer. Great beer, great story. Brewhouse Margaret River Pineapple NEIPA. Name three examples of music/art/culture/sport/travel/other that represent you. Cricket – a passion from a young age. A mediocre off-spinner with an U17's club record of 8-30. Have made a couple of appearances for the Margaret River Hawks but yet to take a wicket or score a run. Wine – a big fan of all things grape-based; currently studying Wine Industry Operations and enjoying plenty of vino between beers!